Tribute show last approximately 2 hours. The Always Country, Definitely Gospel show brings plenty of great talent and energy to the Ozarks. Bring the entire family along for a variety of fantastic hits that will have you singing and dancing along. Whether you are a longtime fan of country and gospel music or are just starting to get into the genre, the Always Country, Definitely Gospel music show provides a great time that all visitors will enjoy. The show features the vocals of Faith's Journey, and guests will be treated to two decades of country and gospel music that will keep them singing and dancing all night long. The best part, though, is guests also get to enjoy a tasty meal along with the show. Experience performances of songs like Eastern Gate and Coalminer's Daughter, and send your spirits soaring with heart and soul-warming journey through some of country and gospel music's best. Join Faith's Journey in a truly heart and soul-warming experience in the world of country and gospel music. 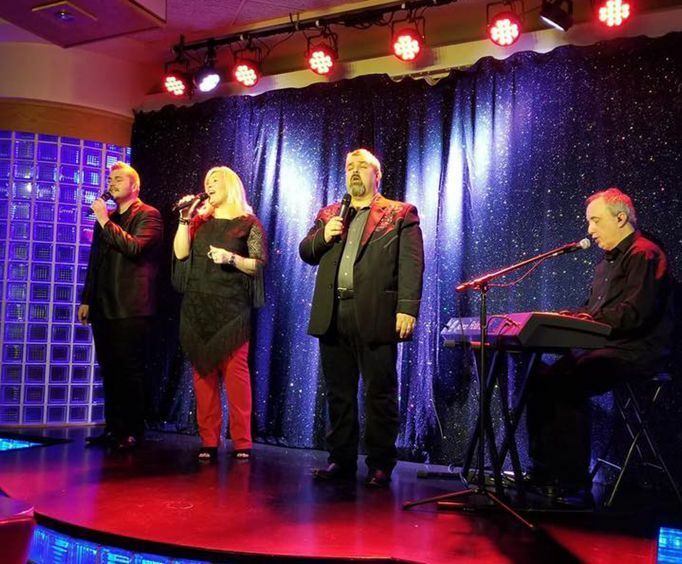 This is one unforgettable show for country and gospel music fans alike, with heavenly vocals, amazing performances paired with a delicious lunch to enjoy while you watch the show. If you are looking for an amazing time in Branson, MO, complete with a high-energy show and a delicious meal, be sure to check out the Always Country, Definitely Gospel show. Don't miss your opportunity to see this spectacular show, and hear some wonderful country and gospel music. What is included in the admission price for Absolutely Country Definitely Gospel ? Includes lunch and a show. Approximately how long is the Absolutely Country Definitely Gospel ? Served with iced tea or coffee plus dessert. Great show and a wonderful small venue so it was easy to hear and seemed personal with the group that was entertaining. We loved it. Certainly worth the money for the show, but the food was only adequate at best. Great family show! The food was awesome. The singing and personalities on stag were delightful and very entertaining. Could of sat there for a longer time had a great time! Best show for the money in branson. The country portion brought back great memories and the gospel portion touched our souls. The united states flag tribute at the end made us proud to be an american. This is a must see show when in branson. Tip: Order the tenderloin its the best sandwich in town. We enjoyed the intimacy of the venue0. They deserve a bigger audience but we enjoyed the individual attention. Lunch was good too.